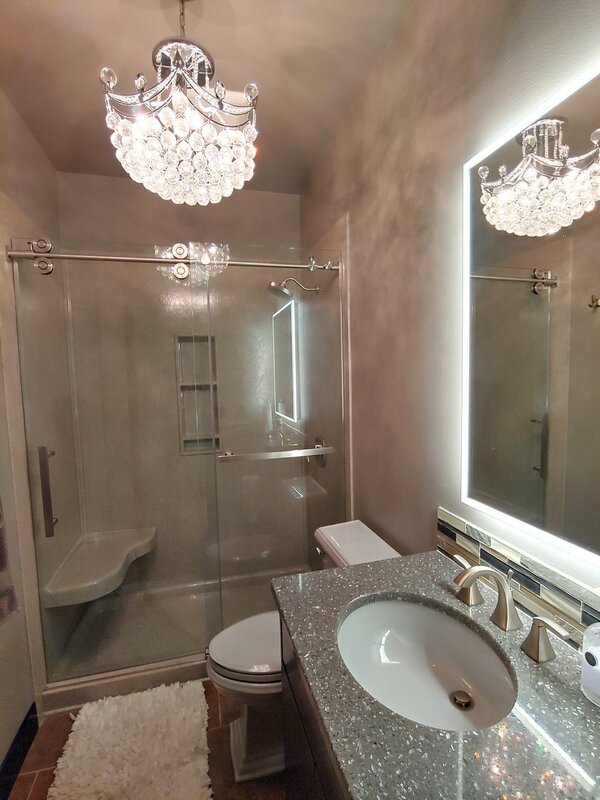 Whether it is a simple tub/shower replacement, ADA conversion, or making your ordinary bathroom into a luxurious master suite, we're the remodel contractor for you. We are one of the largest dealers of “The Onyx Collection" in the United States. The Onyx Collection offers outstanding quality and service for a very competitive price, and we believe Onyx is one of the best products on the market today. Schedule an appointment to see our Onyx Collection shower displays and color samples in our showroom. Whether you are preparing to age in place, caring for an aging or injured loved one, or suffering from a chronic illness we are here to help you. IBK is a registered provider with the Department of Labor and the Energy Employees Occupational Illness Compensation Program (EEOICP.) Our goal is to make sure that your bathroom suits your personal needs while maintaining attractive appearance. The Onyx Collection offers a large selection of fully customizable vanity countertops. We have several Onyx vanity countertops on display in our showroom as well as an assortment of granite and quartz countertop samples.